I think you will agree a bit of nostalgia has kicked in for this XTest review. While in the weight room the other day, my spotter and I got talking about how testosterone boosters have come on leaps and bounds since the early days. Now I don’t know about you, but I’ve tried some testosterone boosters in my time. XTest is one that must have passed me by, but how many of you tried it? I think you will agree Testosterone is essential for us guys. Right? So your T-booster of choice shouldn’t be down to a whim and a flip of a coin. I mean you do your research before parting with your greenbacks. yes? Well, you could say this XTest review is all part of it – your research. Now, it’s not a testosterone booster in direct circulation anymore, but I still think it’s worth a comparison against the big guns of today. If you want to see what is does, what’s underneath and how it stacks up, then just check out my XTest review. Warning! Dear XTest reader: This booster did NOT make it to the list of Top 5 Test Boosters. XTest is an offering from the guys down at Xyience. They used to do a whole range of different nutritional supplements for both men and women. However, just like XTest pills there’s not much information still left in circulation. It was a popular testosterone booster designed for use in line with a well oiled workout plan. XTest was geared for the guy who hits the gym or loves to work out. XTest is a supplement which aims to lift testosterone levels naturally. Xyience states their extreme testosterone formula is both non-androgenic and non hormonal. So who could benefit from some of that? Let’s find out. Would you class yourself as a 24/7 gym freak or a weekend warrior? To be honest, it doesn’t matter as long as you workout on a regular basis. 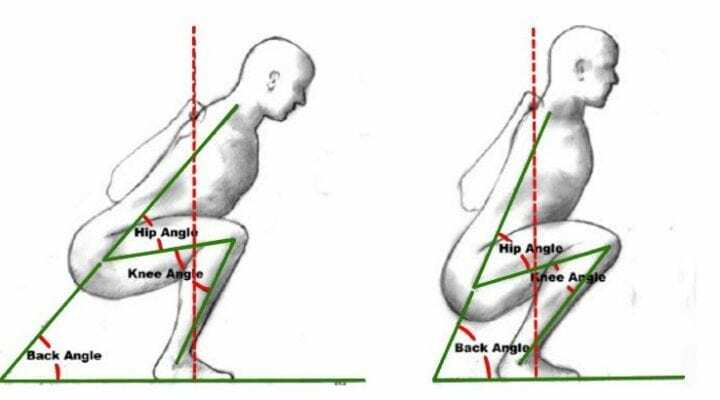 XTest is for the dudes who like to keep moving. If you are the kind of guy who peaks before hitting first base (or can’t even reach it). XTest could help you hit that home run. XTest is geared to support aspects of sexual health. If you feel you need to refuel, XTest could help by lifting your T-levels naturally. Who Should Not Use XTest? Just as some guys could benefit from taking XTest, others could do the same by not taking it. Are you a bro who is gunning for an illegal steroid? If it’s a yes, then XTest will not float your boat. It’s non hormonal, all natural and totally legal. Do you get gold in bedroom olympics? Would you give Viagra a run for its money? If it’s a yes to either, then you got no problems down the pants – so pass on XTest. If your idea of exercise is reaching for the remote, then you might as well hit standby on XTest. It’s doubles as performance enhancing aid, so if you aren’t going to workout it won’t workout for you. So you know what XTest claims to do for you, but there’s still a missing link in the chain – how does it do what it says on the tin?. If you want to build muscle, protein will be most definitely be your number #1 macro of choice. Well it’s not called muscle food for nothing. The principle behind gaining mass is: workout and damage muscle then at rest you repair and grow. Protein is the key to the “growth and repair”. Protein synthesis is the speed at which your body creates these blocks of muscle. Just as you can fast forward muscle gains by upping your intake, boosting the rate your body makes protein can also do the trick. This is how XTest works. XTest is a Testosterone Booster so it’s stands to reason it should work by increasing your body’s own production. Luteinizing hormones (LH) are one of the links to testosterone. It’s an ally and a precursor of your male hormones. Estrogen is another which affects testosterone. You could say this is one of the many enemies which kidnaps your available androgens. XTest is the “secret weapon” in all this. It adds reinforcements to the luteinizing hormones which means you make more testosterone. It also blocks estrogen from taking away more male hormones. But which ingredients are responsible for all of this? Ok, so let’s hit up the xtest ingredients and see how it all stacks up. Xtest includes six ingredients with a total dosage per serving of 813 mg. Within that are two proprietary blends of 200 mg and another amounts to 400 mg.
Calcium doesn’t really need an introduction, we all know its a mineral good for the bones. But it’s benefits towards testosterone are lesser known. Now you are excused if you have never heard of this one before, because that makes two of us. Believe it or not, ajuga is actually a flower coming all the way from Uzbekistan called bugleweed. What’s it doing in a testosterone booster? Rhaponticum carthamoides is the fancy name for maral root. Well it’s another Eastern European plant which allegedly has anabolic properties. They say Russian bodybuilders use it. Now we are onto familiar territory. Tribulus has a couple of potentials for boosting testosterone levels. It’s all based on the notion tribulus can raise levels of luteinizing hormones (LH) – the forerunners of testosterone. By the looks of things, you are still going to need way more than what XTest actually offers to get any decent libido boosting benefits. Tongkat ali is basically eurycoma longifolia. It’s a far eastern medicinal herb with aphrodisiac written all over it. It’s also been proven to raise levels of testosterone. Around 40 percent of guys improved their T-levels after tongkat ali supplements. Rhodiola rosea is another herb which is more famous for its stress busting than testosterone boosting. It can also improve endurance. This means you can lift weights for longer and use that natural testosterone booster – exercise to your advantage. With the “weird and wonderful” ingredients you would think the list of xtest side effects would be quite a lengthy one. Rhaponticum (maral root) is a compound which can thin your blood. This could increase your risk of bleeding or bruising. What kind of results should you expect from XTest? 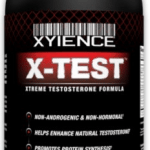 In order to give you a comprehensive XTest review I tried to hunt down some XTest xtreme testosterone reviews in forums. If you are curious to know where to buy XTest, then I can put you in the picture right now. I searched XTest for GNC and Amazon and found it available on a few places online. So it should not be a problem finding the product. Well, there you have it – the XTest review. I’ll be perfectly honest with you, the choice of ingredients is either very clever or the total opposite. For me personally comparing them with other “solid” compounds currently used – am opting for the latter. Also the primary testosterone boosting ingredients are part of dual blends. This means you still don’t know how much you are getting of each one. There is no transparency or clarity with XTest. In terms of raising testosterone – I would push this to one side and go and choose something that’s going to do a better job. Put it this way, XTest might make you more chilled out and have stronger bones. But so will a beer and a glass of milk and they won’t cost as much for the privilege. I tried to checkout the xtest website, but it’s not live anymore. However, after a little XTest review style investigation I came across some pricing stats. The last current price XTest retailed at was $30.99 for a 45 day supply. Currently it it’s available on Amazon ,some supplement retailers or their official website. When you look at the XTest review comments it does seem to be a mixed bag. Others have said it’s underdosed to do any good. Even with putting together an xtest pills shark tank for this one, we still couldn’t find any information to confirm either way. One user noticed an increase in libido from the first day, however he was taking double the dosage. On the other hand another guy took it consistently for a whole month and gave up waiting.